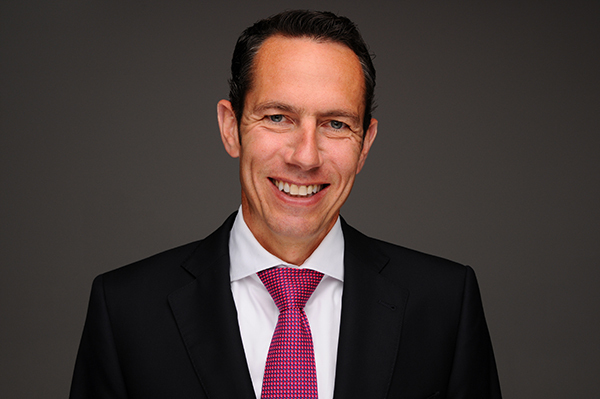 Zurich, Switzerland, July 19, 2016 – DKSH Holding Ltd., Zurich, to appoint Stefan P. Butz (48) as a new member of the Group’s Executive Board. As of January 1, 2017, Butz will be joining the company as a member of the Group’s Executive Board, and following the Annual General Meeting on March 23, 2017, succeed DKSH’s present CEO, Dr. Joerg Wolle, as the company’s CEO. The Board of Directors proposes at the Annual General Meeting in March 2017 that Dr. Joerg Wolle will replace Adrian T. Keller as Chairman of the Board of Directors. The latter will continue to serve the company as a member of the Board of Directors. As announced at the beginning of this year, DKSH did set the course for this transition at the top of the company at an early stage and with due foresight. During a comprehensive, structured process, suitable candidates were identified, assessed and evaluated by the Board’s Nomination and Compensation Committee, in consultation with the Chairman and the CEO. At the end of this extensive and professional process, all decision makers unanimously voted for Stefan Butz as the new CEO. Most recently, Stefan Butz was Chief Executive Industry & COO Europe/China with the Intertek Group plc in London, UK. The company ranks among the leading global enterprises in the worldwide testing, safety and quality assurance sector, generating revenues of more than GBP 2.1 billion with 40,000 employees. The company is publicly listed and among the FTSE 100. Butz joined Intertek in 2008, and as Group Executive Vice President he was initially responsible for setting up its Industry and Assurance Division, as well as for Strategy, M&A and Marketing, along with other areas. In 2013, he was appointed Chief Executive Industry & COO Europe/China. Butz was born in Haan in 1968 and studied Business Administration at the University of Bayreuth. After graduating, he started his career as a consultant at Management Consulting Network, Bad Homburg and Accenture Strategy in Munich. In 2000, he moved to join TÜV Süd, one of the world’s largest testing, certification and quality assurance enterprises, initially as Head of Corporate Development. In 2002, he was appointed CEO & President of TÜV Süd’s US operations headquartered in Boston. Butz is married with two children. He currently lives in Munich. Mr. Butz will be joining us. In view of his extensive and very successful international experience, his distinctly enterprising character and impressive personality, he is definitely our ideal candidate. We are confident that he will fit excellently with DKSH and continue the successful course the company has pursued in recent years. He commands both an excellent knowledge of the business services industry as well as many years of experience in Asia and is known to be a considerate manager. With this, he will ensure continuity in pursuing our successful strategy and continue to shape DKSH’s future path in the positive way our shareholders are used to." Dr. Joerg Wolle, President & CEO, said: "Mr. Butz is an excellent choice for DKSH. I am pleased that our Board of Directors has made this decision. I am looking forward to working together with Mr. Butz from next year onwards." DKSH is the leading Market Expansion Services provider with a focus on Asia. As the term "Market Expansion Services" suggests, DKSH helps other companies and brands to grow their business in new or existing markets. Publicly listed on the SIX Swiss Exchange since 2012, DKSH is a global company headquartered in Zurich. With 770 business locations in 36 countries – 740 of them in Asia – and 28,300 specialized staff, DKSH generated net sales of CHF 10.1 billion in 2015. DKSH was founded in 1865. With strong Swiss heritage, the company has a long tradition of doing business in and with Asia and is deeply rooted in communities and businesses across Asia Pacific.